Enterovirus 68 (EV68, EV-D68, HEV68) is a member of the Picornaviridae family, an enterovirus. First isolated in California in 1962 and once considered rare, it has been on a worldwide upswing in the 21st century. With some uncertainty, it has been implicated in cases of a polio-like disorder called acute flaccid myelitis. EV-D68 can cause mild to severe respiratory illness. Mild symptoms may include runny nose, sneezing, cough, and body and muscle aches. Severe symptoms may include wheezing and difficulty breathing. Anyone with respiratory illness should contact their doctor if they are having difficulty breathing or if their symptoms are getting worse. EV68 almost exclusively causes respiratory illness, and varies from mild to severe. Initial symptoms are similar to those for the common cold, including a runny nose, sore throat, cough, and fever. As the disease progresses, more serious symptoms may occur, including difficulty breathing as in pneumonia, reduced alertness, a reduction in urine production, and dehydration, and may lead to respiratory failure. Like all enteroviruses, it can cause variable skin rashes, abdominal pain and soft stools. Since its discovery in 1962, EV68 had been described mostly sporadically in isolated cases. Six clusters (equal to or more than 10 cases) or outbreaks between 2005 and 2011 have been reported from the Philippines, Japan, the Netherlands, and the states of Georgia, Pennsylvania and Arizona in the United States. EV68 was found in 2 of 5 children during a 2012/13 cluster of polio-like disease in California. Cases have been described to occur late in the enterovirus season, which is typically during the warm months, from spring to autumn (August and September in the Northern hemisphere). Enterovirus EV-D68 is uncommon and not new. It was first identified and isolated from four children with bronchiolitis and pneumonia, there has been fewer than 100 cases reported since that time. The low number of case reports may be due to the difficulty in identifying the virus. This holds true for many upper and lower respiratory infections. Newer lab techniques make it easier to identify specific micro-organisms while in the past, it was not possible to do so. Some cases of EV-D68 infections were diagnosed in the summer of 2013 in the U.S. and in various parts of the world. In previous years, clusters have been reported in Georgia, Pennsylvania, Arizona, and various countries including the Philippines, Japan and the Netherlands. Five EV68 paralysis cases were unsuccessfully treated with steroids, intravenous immunoglobulin and/or plasma exchange. The treatment had no apparent benefit as no recovery of motor function was seen. A 2015 study suggested the antiviral drug pleconaril may be useful for the treatment of EV-D68. EV-D68 has been associated almost exclusively with respiratory disease. Many infections are mild and self-limited, requiring only symptomatic treatment. Symptoms include fever, body and muscles aches, sneezing, coughing and rash. There is no specific treatment and no vaccine, so the illness has to run its course; treatment is directed against symptoms (symptomatic treatment). 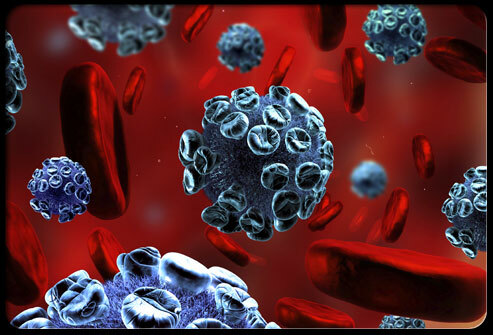 Most people recover completely; however, some need to be hospitalized, and some have died as a result of the virus.